Even the crown jewels will envy at this gorgeous ring from Apples of Gold. A white gold band offers sumptuous style that is covered in the elaborate carving of art deco design. The milgrain edges invite you to experience varying textures on the ring. 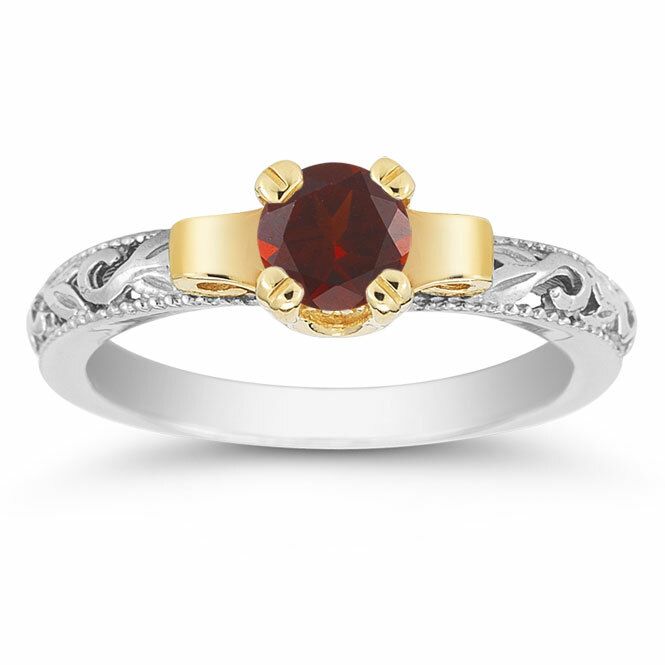 A yellow gold mounting makes a regal resting spot for the richly hued garnet stone. The 5mm gemstone takes its deep red color and makes it royal with this art deco creation from Apples of Gold jewelry collection. Also available in 1 carat size. 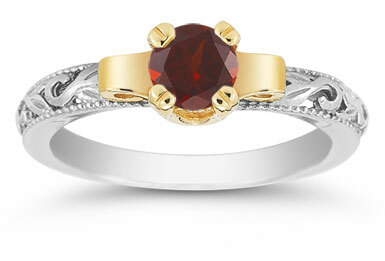 We guarantee our Art Deco Garnet Engagement Ring, 1/2 Carat to be high quality, authentic jewelry, as described above.